Zenport Tapener ZL99 Small Vine Tying Tape Tool, Small, MAX HTB Compatible. 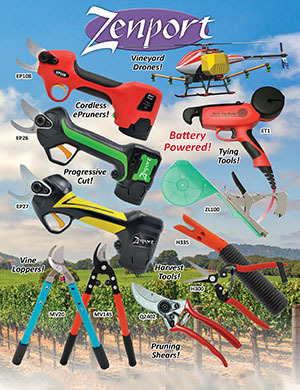 Whether your task is in a nursery securing high value standards, or in a vineyard ensuring security for valuable vines and trees, Zenport tapener guns and accessories give plants that desirable uniform appearance. One tapener does the work of three people tying by hand! Tying plants to support stakes & lines. Saves time and provides a secure plant tie. Plated for corrosion resistance in the elements. Easy to maintain and provide fantastic value for money. Universally compatible with MAX Tapener Guns. Zenport makes ALL parts and components available to maintain your tapener for many years. 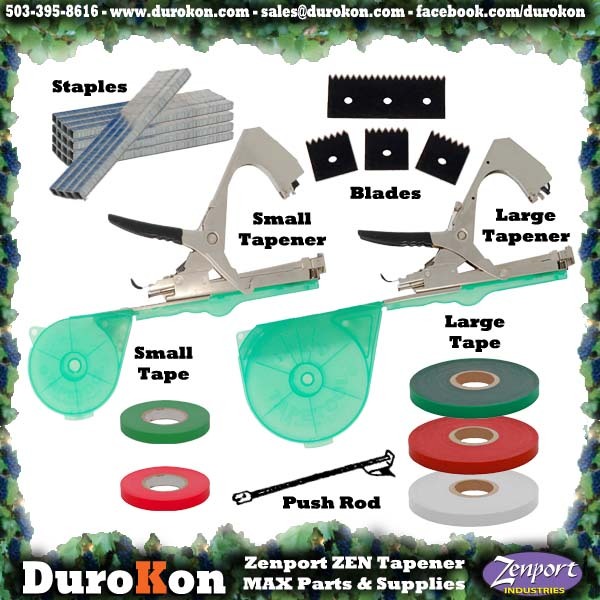 Please Note: Staples and Plant Tie Tape are not included with tapener tool. These items must be purchased seperate. Click on the images below to select accessories.